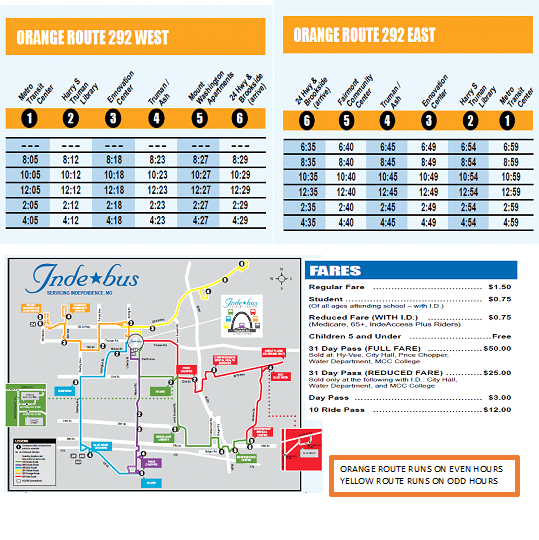 Americans with Disabilities Act (ADA) paratransit services are available to anyone with a documented disability no matter where the individual lives. 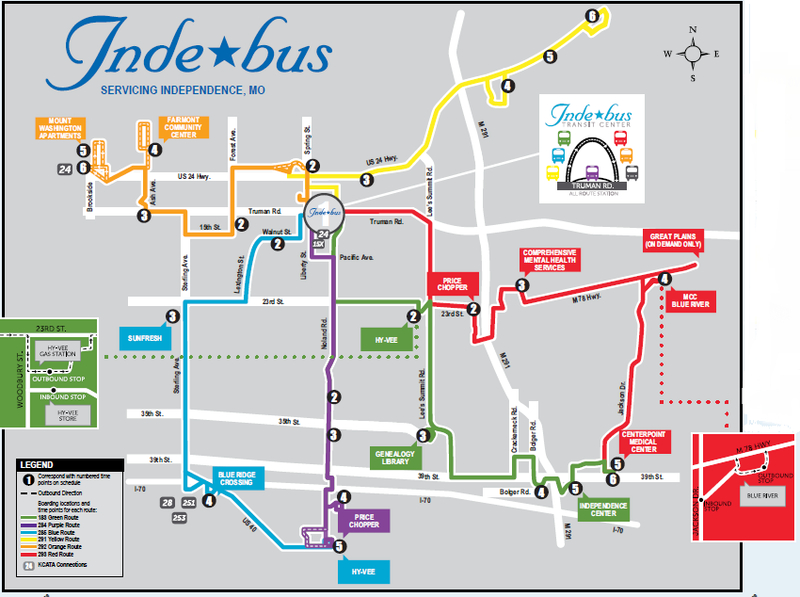 The service is available within ¾ mile of any local bus route offered by IndeBus in Independence, MO. When applying for these services be sure to complete the entire application, including the section on documenting a disability. 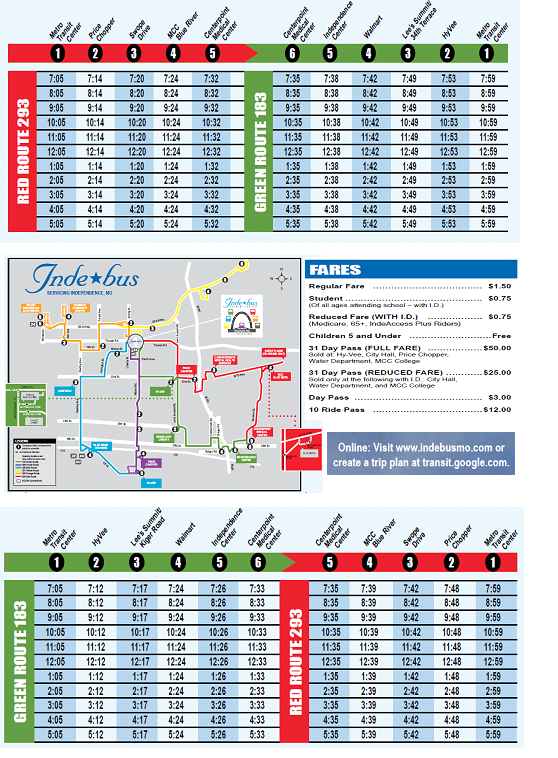 IndeAccess+ is the Senior Transportation service available in the City of Independence. 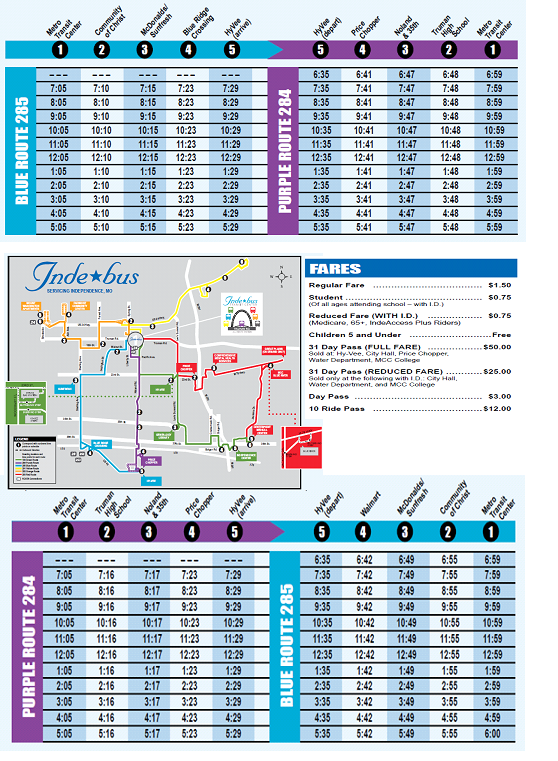 IndeAccess+ is a curb-to-curb service available for any person age 60 or greater and is available throughout the City of Independence during the same hours as the fixed route, IndeBus operates, Monday through Saturday. 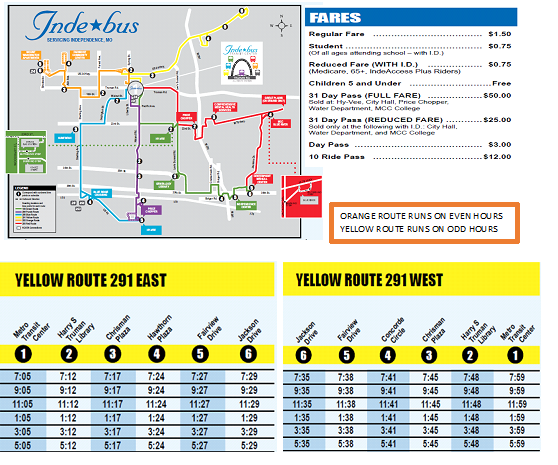 Call 816-842-9070 between the hours of 7:00 am and 3:00 pm to schedule a ride.